I had the privilege of founding the business back in 1998 with Aidan Corry, and seeing it evolve to become one of the North West's most respected estate agency practices. My aim has always being to "under promise and over deliver" and this is something I encourage of the staff also. 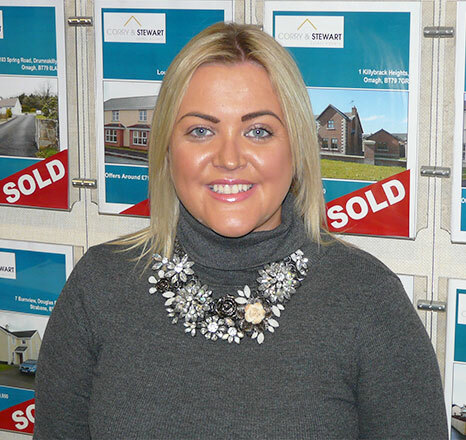 My main roles within the business now are dealing with both vendors and purchasers on a daily basis to assist with the buying and selling of their properties. and I carry out all the market appraisals prior to any property being placed on the market for sale and explain the process and time scales involved. I also manage the mortgage side of our business "The Mortgage Advice Centre" which is located within the Corry & Stewart premises, and this keeps me busy advising and organising mortgages from the whole of the mortgage market to assist purchasers secure their dream properties. This side of the business can be daunting and complicated for most clients, so my role is to make this process as relaxed and informative as possible for my clients to secure their mortgage to complete their purchase. I have been with Corry and Stewart from the outset. My role in the business has changed many times over the years, but now comprises mainly in managing the rental side of the business. I also assist Noel with the administration of the mortgage advice service he provides, and I am involved daily in all aspects of working in a busy office and all the various tasks that this demands. I also assist with viewings, in both the sales and rental side occasionally when required. 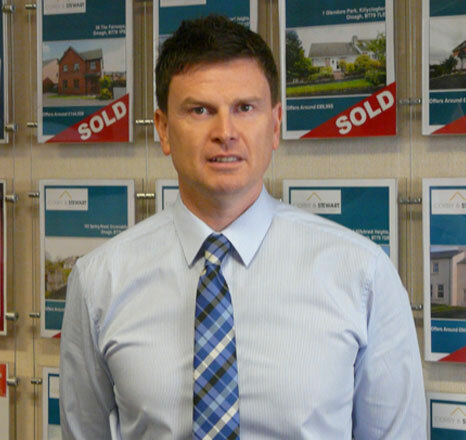 Darren has just joined the team recently, and brings with him 8 years valuable experience in both the Estate Agency and Mortgage Advice market where he worked previously in Strabane Mortgage Centre. 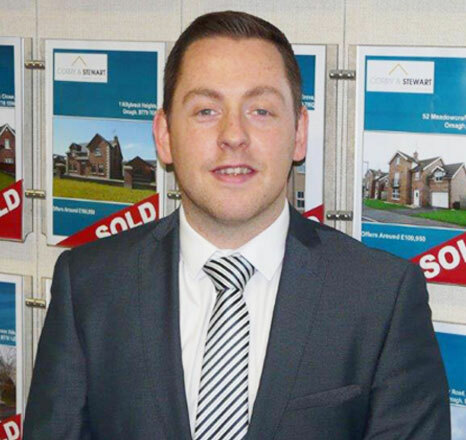 Darren's role will be to assist Eucharia in the rentals' section, as well as negotiating sales within the Estate Agency and working closely with Noel in The Mortgage Advice Centre (TMAC). Nicola has just joined us recently from another local estate agents practice to cover maternity leave, and brings many years experience in her field. 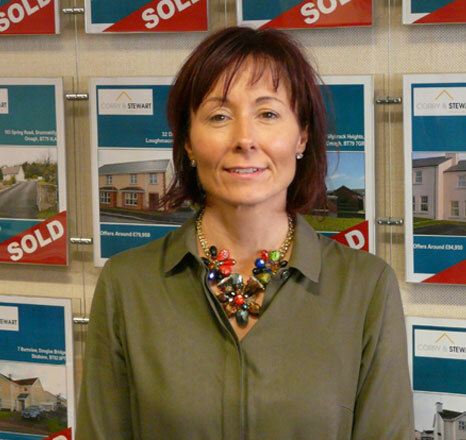 Nicola will be involved in the every day running of the office and will also oversee the accounts dept, and with her bubbly personality has settled into her role very quickly. 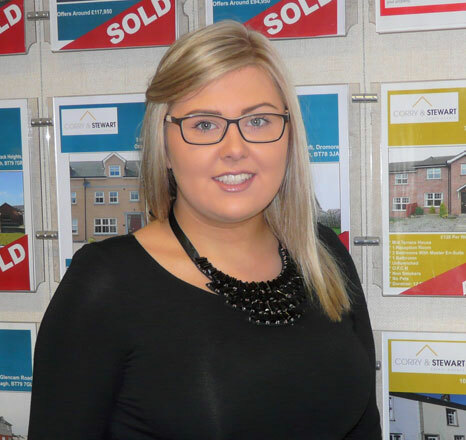 I have been with Corry & Stewart Estate Agents Ltd. since November 2014. My job role on a daily basis would be to deal with enquires, make up brochures, update digital screens, update websites and office display boards, upload properties onto PropertyPal.com and Corry & Stewart websites and carry out administration work within the office. I also do rental and sales viewings on occasions. Eleanor is Currently on Maternity Leave.